New Releases ( Freehand and Special Occasions ) visit PhilKeaggy.net for more Info. Phil Keaggy, "Way Back Home"
Welcome to Way Back Home ! The title of this page, and the opening quote, come from Phil's 1986 acoustic vocal album titled (you guessed it!) Way Back Home . 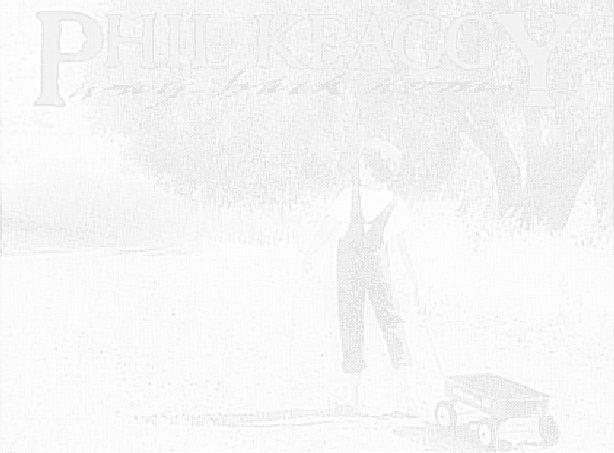 PhilKeaggy.net: This is the official Phil Keaggy home page, run by Phil's close friend and publicist Robin Eastburn. It has the latest scoop on Phil's doings, exclusive MP3 downloads (whole songs, not just soundbites! ), lyrics to virtually all of Phil's songs, and tons more. 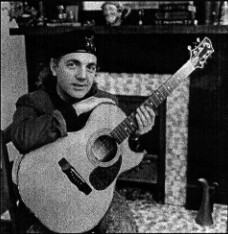 PhilKeaggy.com: This was the first official Phil Keaggy web site; it now plays the role of the official Keaggy storefront. It's run by the folks who run the Phil Keaggy Club and who produce some of Phil's CDs. You can purchase pretty much all of Phil's currently available CDs, written music, and videos from this site. March Of The Clouds: Another fan-built Keaggy site originally created by Ron Kneusel and now taken over by Stephanie Bargenquast. Ron started the Phil Keaggy discussion group (see below); at this site you'll find a moving collection of fan and friend remeniscences, and lots more you won't find here at Way Back Home . PKFans.com: Not only is this the new home of March of the Clouds ; it's also a great place to look for the latest PK news, special sound and video clips, and lots of other PK info. Phil Keaggy at Olson Guitars: Phil is a big fan of the acoustic guitars made by Minnesota luthier Jim Olson. Jim's web site hosts a page with some fun Keaggy photos and soundbites featuring Phil's acoustic work. If you'd like to chat with real, live Keaggy fans, join the Phil Keaggy Discussion Group . A description of the group, directions for joining, and a FAQ can be found at PKFans.com. The group itself is hosted by Yahoo Groups ; you must be registered at Yahoo to join (it's free). This is an email "listserv" community of dozens of friendly and knowledgable "Phil Phans." There can be anywhere from a half-dozen to a few dozen posts per day; you can sign up for a digest mode that collects a day's worth of posts and emails them to you as a single message with a table of contents. This list is where you'll find the most up-to-date news on Phil's musical doings; it is also where some of the tablature archived at this site first appeared. Suggestions, contributions, and pats-on-the-back are most welcome; you can send email to the editor of these pages using the link at the end of this page. Street level also hosts a brief Phil Keaggy Biography, including a discography of Phil's major releases. A list of the easiest-to-get Keaggy recordings (available from online distributors), with capsule descriptions, and a separate, more complete discography listing over 100 albums Phil has recorded or contributed to. Information about some of Phil's guitars and effects. Miscellaneous Phil photos and stories from the road. Here you'll find links to Glass Harp pages, links to pages of artists and composers who have influenced Phil, links to fans' photo pages, and other miscellaneous links. How to write to Phil and who to contact to book a concert. The word that comes to mind when I think of Phil's music is: joy. Not happiness, necessarily, but joy. From the time I first heard Phil's music in 1980, no other music has been so much a source of joy for me the joy of jubilation in happy times, or of seeking (and perhaps finding) redemption in sad times. My fondest wish for any of you would be that you find music or some other form of art that touches and uplifts the deep places in you as effectively as Phil's music does so for me. Thanks for visiting Way Back Home . Peace to you! The title and background graphic for this page are adapted from the artwork of the original 1986 release of Way Back Home . The original artwork is by Gary Whitlock, and is Copyrighted 1986 by Pan Pacific Records. Many thanks to Mike Allinger for his assistance in adapting these and other graphics at this site for the web. All original text on these web pages © Copyright 1995-2002 by Tom Loredo, unless otherwise noted. All rights reserved.